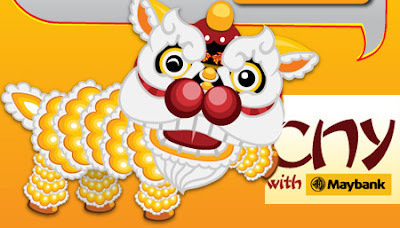 Best Golden Lion dance x 3: A real lion dance performance sent to their house + more ang pows! Send as CNY greeting to your family & loved ones. Find out what is your Zodiac Mach-Up & receive a fortune cookie to go with the reading. Visit Maybank Facebook fan page for more detail. Mosquitoes are like vampires.. no blood = no life! True or false?